1. FOOT! Care, Prevention, and Treatment written by Dr. Werd. General foot health information and helpful tips. *Instructions for a free copy: #1. “Like” us on our Facebook/FAAA page; #2. You will receive a signed copy at your initial office visit. 2. Athletic Footwear and Orthoses in Sports Medicine written by Dr. Werd. Sport specific athletic footwear information; request a signed copy by Dr. Werd. •	Welcome to the Business Team at Foot and Ankle Associates. Our appointment schedulers and billing department work in tandem to assist you and your family during your experience. •	Our scheduling team will complete a short appointment questionnaire that will allow us the opportunity to contact your plan prior to your visit. We will find out what type of Podiatry benefits you should expect, including your coverage limits, which we will then review with you before you are seen. •	If you are a new patient, we will email you the required forms to complete before your visit, which can then be faxed to our confidential fax at least 48 hours prior to your visit at 863.687.3404. We also update paperwork for established patients at least once a year or upon any changes. Having the most accurate information on you and your family will help us better treat your medical conditions, and it will also allow us to process your insurance claims more efficiently. •	Thank you for helping us to be more prepared for your visit. We ask that you arrive 20 minutes prior to your visit with your insurance and identification cards; we will scan each card to validate your electronic health record. Please allow for ample time to check in with our team in order to help prevent your appointment being delayed or even rescheduled. •	We invite you to bring your socks and athletic/dress shoes along with a list of prepared questions. For a list of sample questions visit http://www.ahrq.gov/questionsaretheanswer. You may also visit our business office library, where you can view frequently asked questions, insurance contract list and become even more familiar with our office. In 1977, Dr. Marvin Odro joined Dr. Krusch in private practice. In 1983, Dr. Edward Fazekas joined the group practice. In 1995, Dr. Matthew B. Werd joined the group practice. In 1997, Dr. Krusch retired from practice, more than 35 years after its inception. 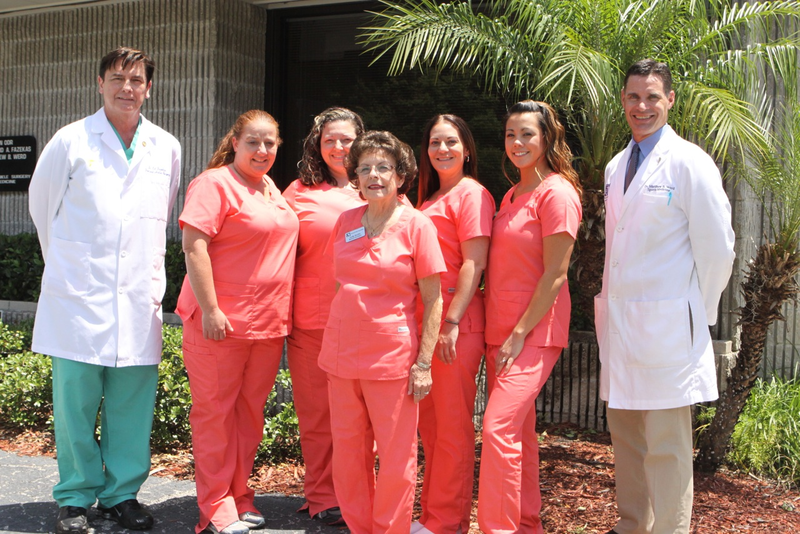 In 2000, Dr. Odro, Dr. Fazekas, and Dr. Werd expanded the practice to include all patients previously under the care of retiring Lakeland podiatrist, Dr. John L. Yant, Jr. In the year 2000, we are proud to remain the oldest and largest group practice in our specialty in both Polk and Highlands counties. We are committed to continue the tradition of providing the best medical and surgical care of the foot, ankle and leg that is available today.